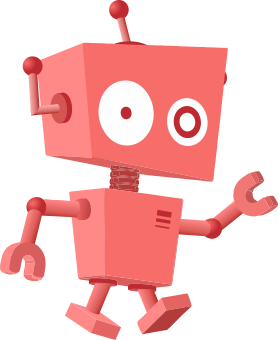 This article is about Ely (disambiguation). 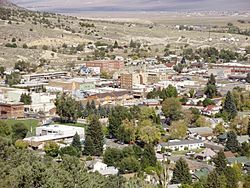 For other uses, see Ely, Nevada (disambiguation). 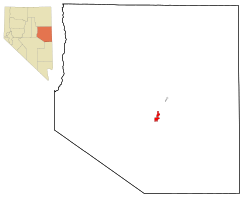 Ely (/ˈiːli/, EE-lee) is the largest city and county seat of White Pine County, Nevada, United States. Ely was founded as a stagecoach station along the Pony Express and Central Overland Route. Ely's mining boom came later than the other towns along US 50, with the discovery of copper in 1906. Though the railroads connecting the First Transcontinental Railroad to the mines in Austin and Eureka have long been removed, the railroad to Ely is preserved as a heritage railway by the Nevada Northern Railway and known as the Ghost Train of Old Ely. As of the 2010 census, the population was 4,255. 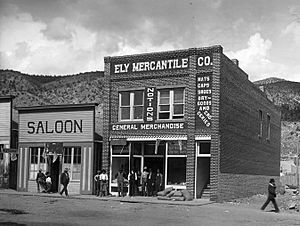 Ely was founded as a stagecoach station along the Pony Express and Central Overland Route. Ely's mining boom came later than the other towns along US 50, with the discovery of copper in 1906. This made Ely a mining town, suffering through the boom-and-bust cycles so common in the West. Originally, Ely was home to a number of copper mining companies, Kennecott being the most famous. With a crash in the copper market in the mid-1970s, Kennecott shut down and copper mining disappeared (temporarily). The town was first called Ely in 1878 in honor of Smith Ely, president of the Selby Copper Mining and Smelting Company. With the advent of cyanide heap leaching—a method of extracting gold from what was previously considered very low-grade ore—the next boom was on. Many companies processed the massive piles of "overburden" that had been removed from copper mines, or expanded the existing open-pit mines to extract the gold ore. Gold mines as widespread as the Robinson project near Ruth, and AmSelco's Alligator Ridge mine 65 miles (105 km) from Ely, kept the town alive during the 1980s and 1990s, until the recent revival of copper mining. As Kennecott's smelter was demolished, copper concentrate from the mine is now shipped by rail to Seattle, where it is transported to Japan for smelting. The dramatic increase in demand for copper in 2005 has once again made Ely a copper boom town. The now-defunct BHP Nevada Railroad ran from the mining district south of Ruth through Ely to the junction with the Union Pacific at Shafter from 1996–99. Ely is 77 miles (124 km) east of Eureka, Nevada, 153 miles (246 km) west of Delta, Utah, 105 miles (169 km) north of Pioche, Nevada, 139 miles (224 km) south of Wells, Nevada, and 120 miles (190 km) south of West Wendover, Nevada. According to the United States Census Bureau, the city has a total area of 7.1 square miles (18 km2), all of it land. Ely experiences a semi-arid climate (Köppen BSk), and extreme day-night temperature differences year-round. Ely’s nighttime temperatures account for it being listed as one of the coldest places in the contiguous United States, with an average of 217.6 nights per year with a minimum temperature of 32 °F (0 °C) or less, 17.5 nights reaching 0 °F (−17.8 °C) or less, and 23 days where the high does not top freezing. On average, the first and last dates of freezing temperatures are September 6 and June 18, respectively, allowing a growing season of only 79 days. The monthly mean temperature ranges from 25.3 °F (−3.7 °C) in January to 67.8 °F (19.9 °C) in July. High temperatures of 90 °F (32 °C) or higher occur on an average of 25.8 days annually, but, due to the elevation and aridity, the low very rarely manages to stay at or above 60 °F or 16 °C. Extreme temperatures range from 101 °F (38.3 °C) on July 18, 1998 down to −30 °F (−34.4 °C) on February 6, 1989. On average, annual precipitation is 9.76 inches (248 mm), with 75 days of measurable precipitation annually. The wettest calendar year has been 1897 with 16.16 inches (410.5 mm) and the driest 1974 with 4.22 inches (107.2 mm), though as much as 18.20 inches or 462.3 millimetres fell from July 1982 to June 1983. The most precipitation in one month was 5.52 inches (140.2 mm) in April 1900, and the most in 24 hours was 2.52 inches (64.0 mm) on September 26, 1982. Average annual snowfall is 50.8 inches (1.29 m), while the most snowfall in one month was 42.0 inches (1.07 m) in March 1894, and the greatest depth of snow on the ground 24 inches or 0.61 metres on January 23, 2010 – though data from neighbouring Elko suggest greater depths in the winters of 1889/1890, 1915/1916 and 1931/1932. An average winter will see a maximum snow cover of 9 inches or 0.23 metres, though the severe winter of 1951/1952 had fifty days with snow cover over 10 inches or 0.25 metres. The most snowfall in a season has been 110.4 inches (2.80 m) from July 2010 to June 2011 and the least 12.1 inches (0.31 m) from July 1950 to June 1951. As of the census of 2000, there were 4,041 people, 1,727 households, and 1,065 families residing in the city. The population density was 566.8 people per square mile (218.8/km²). There were 2,205 housing units at an average density of 309.3 per square mile (119.4/km²). The racial makeup of the city was 89.14% White, 0.32% African American, 3.12% Native American, 1.09% Asian, 0.35% Pacific Islander, 3.71% from other races, and 2.28% from two or more races. Hispanic or Latino of any race were 12.35% of the population. There were 1,727 households out of which 28.6% had children under the age of 18 living with them, 46.4% were married couples living together, 10.2% had a female householder with no husband present, and 38.3% were non-families. 33.7% of all households were made up of individuals and 13.1% had someone living alone who was 65 years of age or older. The average household size was 2.30 and the average family size was 2.94. In the city, the population was spread out with 25.7% under the age of 18, 6.3% from 18 to 24, 23.8% from 25 to 44, 27.0% from 45 to 64, and 17.2% who were 65 years of age or older. The median age was 41 years. For every 100 females there were 98.3 males. For every 100 females age 18 and over, there were 96.0 males. The median income for a household in the city was $36,408, and the median income for a family was $42,168. Males had a median income of $36,016 versus $26,597 for females. The per capita income for the city was $17,013. About 11.3% of families and 12.5% of the population were below the poverty line, including 12.0% of those under age 18 and 9.2% of those aged 65 or over. Operation Haylift (1950), by director William A. Berke, is about a historical event that took place in White Pine County. Roadside Prophets (1992), an independent film directed by Abbe Wool. Rat Race (2001), a film directed by Jerry Zucker, with its climactic scene shot in and around the restored train depot of the railway museum. My Blueberry Nights (2007), a film directed by Wong Kar-wai. Play Dead (2009), a film directed by Jason Wiles. Small Town Mayor (2014), an unproduced television pilot revolving around Ely mayor Melody Van Camp. Geologic structure map showing mining operations west of Ely. Hatched area indicates traces of copper while the shaded area indicates traces of gold. Ely, Nevada Facts for Kids. Kiddle Encyclopedia.